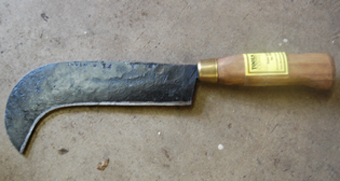 Hand forged by Ikulwa (B) Blacksmiths Group 25cm long blade, weighs 600 – 700 gm - or even a bit moreWell these used to be light, but now they are heavier - handmade you see. 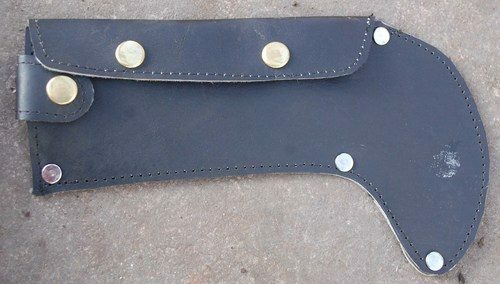 Made by Mshana Leather Tanning Group, Shinyanga, Tanzania To fit Ikulwa "B" billhooks. 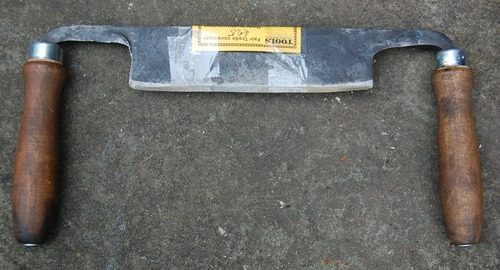 Protects the blade and your fingers! 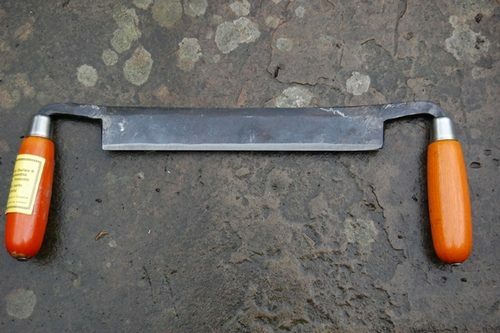 A tidy little drawknife, made from leaf spring - blade is about 6 inches/15 cms wide x 1 3/8"/35 cms deepOverall width is 11 inches/28 cm. 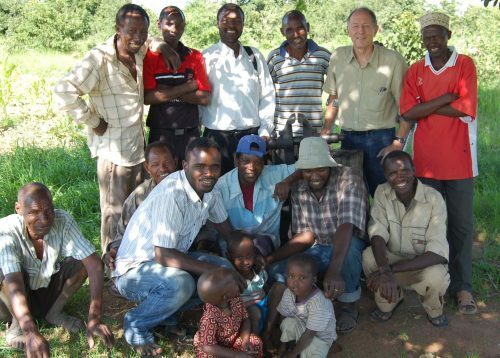 Weighs 360 gmMade by Marco Deo and his Muhintiri Blacksmiths group in Singida Region - a very rural group who have been supported by TFSR for a long time. 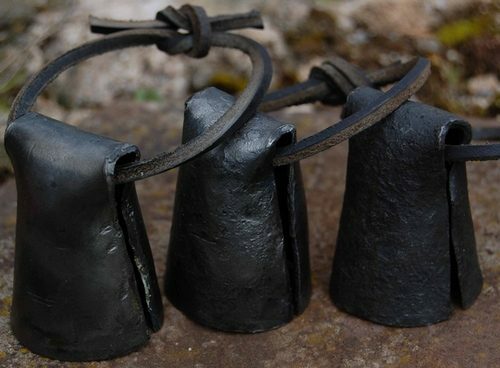 Made by Milundumo Group in Shinyanga region, these goat bells have a beautiful ring. 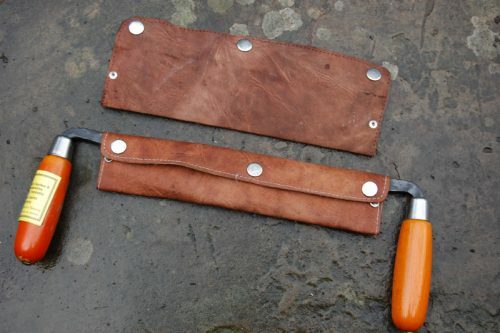 Every one is different, they are about 5 - 6 cms tall and 4 cms diameter at the base, they are strung on a leather thong. You don't need a goat to appreciate these little clangers.